Here are a few new movie posters for you to lay your eyes upon. These have come out over the past few days and we just wanted to round them up for you. Check them out and let us know what you think in the comments below. Click on any of the images below for the original sizes! VAMPIRE ACADEMY: BLOOD SISTERS is directed by Mark Waters and stars Zoey Deutch, Lucy Fry, Danila Kozlovsky, Gabriel Byrne, Sarah Hyland, Joely Richardson, Cameron Monaghan, Sami Gayle, Claire Foy and Ashley Charles. SYNOPSIS: Based on the first book in author Richelle Mead’s successful series of “Vampire Academy” books. Rose Hathaway (Deutch) is a Dhampir: half human/vampire, guardians of the Moroi, peaceful, mortal vampires living discretely within our world. Her legacy is to protect the Moroi from bloodthirsty, immortal Vampires, the Strigoi. This is her story. 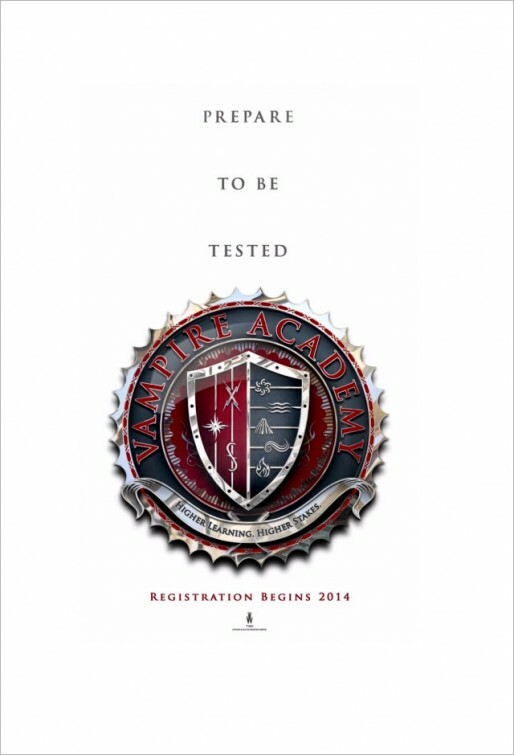 VAMPIRE ACADEMY: BLOOD SISTERS is set to hit theaters on February 14, 2014. 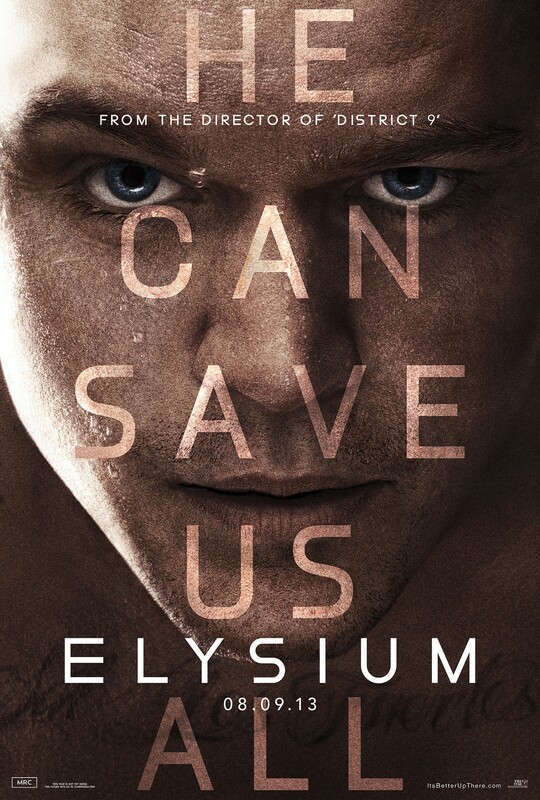 ELYSIUM is directed by Neill Blomkamp and stars Matt Damon, Jodie Foster, Sharlto Copley, Alice Braga, Diego Luna, William Fichtner and Wagner Moura. SYNOPSIS: In the year 2154, two classes of people exist: the very wealthy, who live on a pristine man-made space station called Elysium, and the rest, who live on an overpopulated, ruined planet. The people of Earth are desperate to escape the crime and poverty that is now rampant throughout the land. The only man with the chance to bring equality to these worlds is Max (Matt Damon), an ordinary guy in desperate need to get to Elysium. With his life hanging in the balance, he reluctantly takes on a dangerous mission, one that pits him against Elysium’s Secretary Delacourt (Jodie Foster) and her hard-line forces, but if he succeeds, he could save not only his own life, but millions of people on Earth as well. 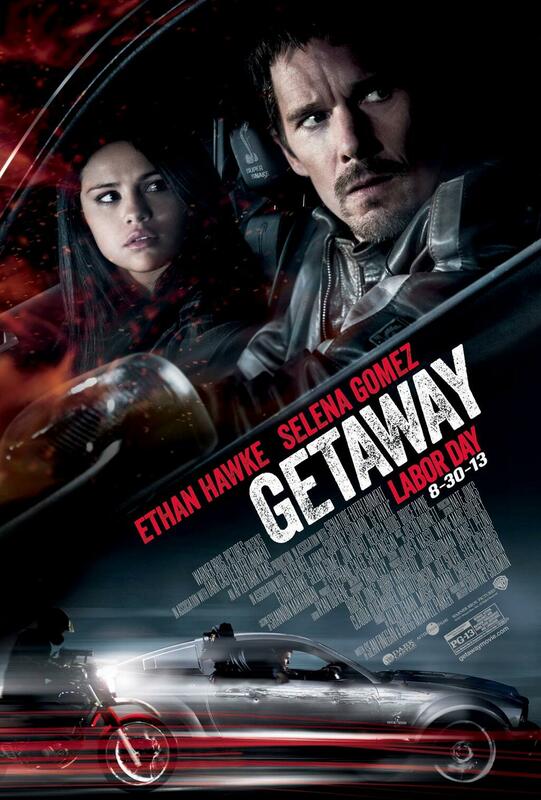 GETAWAY is directed by Courtney Solomon and stars Ethan Hawke, Selena Gomez, Jon Voight, Rebecca Budig and Bruce Payne. SYNOPSIS: “Getaway” is the gritty, heart-pounding action thriller in which former race car driver Brent Magna (Ethan Hawke) is pitted against the clock. Desperately trying to save the life of his kidnapped wife, Brent commandeers a custom Shelby Cobra Mustang, taking it and its unwitting owner (Selena Gomez) on a high-speed race against time, at the command of the mysterious villain holding his wife hostage. GETAWAY is set to hit theaters on August 30, 2013. 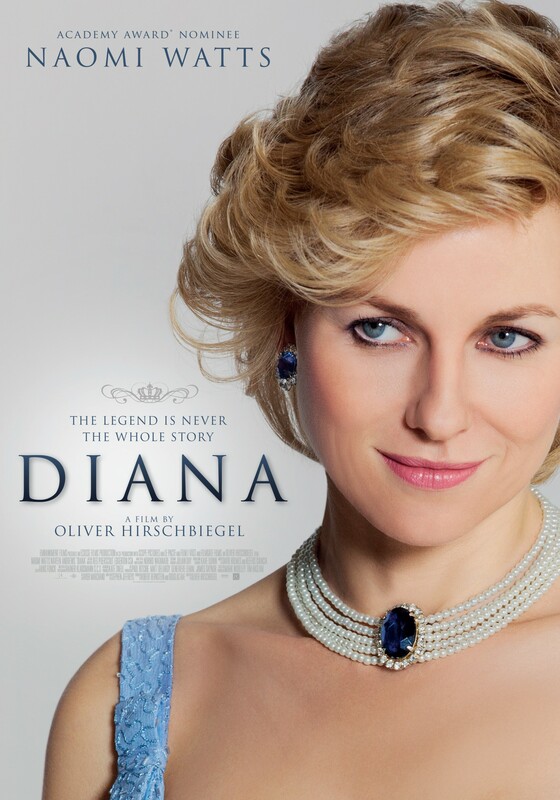 DIANA is directed by Oliver Hirschbiegel and stars Naomi Watts, Naveen Andrews, Douglas Hodge and Juliet Stevenson. SYNOPSIS “Diana” takes audiences into the private realm of one the world’s most iconic and inescapably public women — the Princess of Wales, Diana (two-time Oscar nominee Naomi Watts) — in the last two years of her meteoric life. On the occasion of the 16th anniversary of her sudden death, acclaimed director Oliver Hirschbiegel (the Oscar-nominated “Downfall”) explores Diana’s final rite of passage: a secret love affair with Pakistani heart surgeon Hasnat Khan (Naveen Andrews, “LOST,” “The English Patient”), the human complications of which reveal the Princess’s climactic days in a compelling new light. Hirschbiegel directs from a screenplay by award-winning playwright Stephen Jeffreys, inspired by the book “Diana: Her Last Love by Kate Snell,” which was in turn drawn from extensive interviews with close friends and confidantes. The result is a window into the tumultuous, change-filled period from 1995-1997, in the wake of Diana’s shattering divorce from Prince Charles, and at the moment when she stood on the cusp of a different life, evolving into a global humanitarian, a master of maneuvering fame and becoming her own woman. DIANA does not have a firm release date yet. 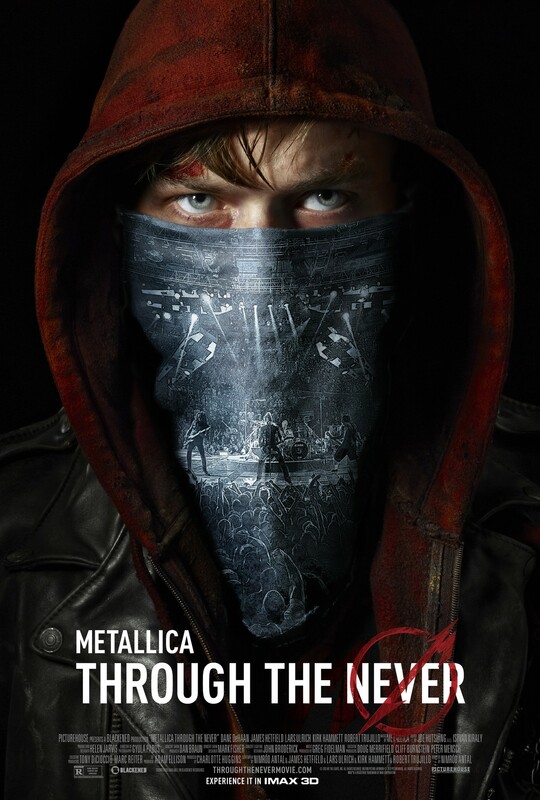 METALLICA THROUGH THE NEVER is directed by Nimrod Antal and stars Dane DeHaan, James Hetfield, Lars Ulrich, Kirk Hammett and Robert Trujillo. SYNOPSIS: Award-winning filmmaker Nimrod Antal (“Predators,” “Kontroll”) creates a groundbreaking 3-D motion picture event, “Metallica Through the Never.” The music-driven feature film combines a bold narrative and spectacular live-performance footage of one of the most popular and influential rock bands in history to produce a bracing, raw and visceral cinematic experience. Emerging young star Dane DeHaan (“The Place Beyond the Pines,” “Kill Your Darlings,” “The Amazing Spider-Man 2”) portrays Trip, a young roadie sent on an urgent mission during Metallica’s roaring live set in front of a sold-out arena.